Well it has been a long day of deep Christian, Muslim and Jewish feeling. This is a city with which half the population of the world have a relationship through their faith. The feelings seem to travel far. Christians here contend for space with one another in their churches and Muslims and Jews in the public space outside. Muslims, particularly young men under 40 on Fridays, are hampered from praying in their Mosque whilst Islamic philanthropic and architectural contributions to building the city remain hidden without interpretation. But the big surprise of the day was in an evening lecture from Ophir Yarden (Senior Lecturer in Jewish and Israel Studies at Brigham Young University). His explanation that the Chief Rabbinate and not the Muslim authorities were responsible for forbidding Jews (only) from accessing the Temple Mount was not what prejudice taught. In recent times younger Jews have begun to ignore the Rabbinate and visit the Mount with maps to help them avoid holy ground. 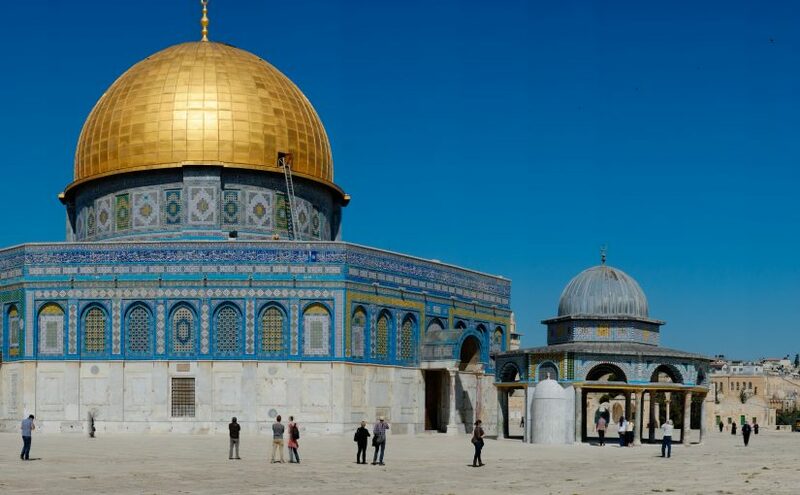 Israeli Police prevent them from taking religious symbols or praying there for fear of riot; they also prevent young Muslims from ascending the Mount on Friday for the same fear. Surely it is possible to navigate a better way through these important matters of faith and identity than this. As things are contempt breeds fast. I can’t yet see that way but if worship of God is at the heart of what people want to do then maybe we need to learn how to share sacred space.